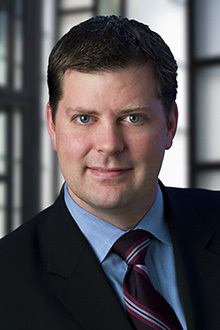 Ronald Payne is a partner in the Chicago office of Lewis Brisbois and a member of the General Liability Practice. His practice focuses on large-loss complex litigation, including cases involving catastrophic injury and death, as well as ones featuring multiple parties. Clients admire him for his ability to coordinate among various players connected to a multi-party lawsuit, with their differing goals and agendas, while still providing keen legal analysis and excellent client service. Mr. Payne has extensive experience representing trucking and construction companies across the spectrum of personal injury, property damage, and motor vehicle litigation. He has tried several cases to successful jury verdicts, as well as conducted bench trials, arbitrations, and mediations. He also has experience in post-trial and appellate work including appellate oral arguments. In addition, Mr. Payne has handled products liability claims and cases involving the Underground Utility Facilities Damage Prevention Act involving utility companies. He has also defended hotels, restaurants, snow and ice removal companies, retailers, food stores, and auto repossession companies against personal injury and property damage claims. Secured multiple summary judgments in hospitality/premises cases for Millennium Hotels in Cook County Circuit Court. Convinced plaintiff to voluntarily dismiss his Cook County Circuit Court personal injury case against construction firms F.H. Paschen and S.N. Nielsen & Associates, LLC. Won summary judgment in favor of farming company Decker Livestock in a personal injury case in Iroquois County Circuit Court (IL) involving a grain silo fire and suffocation injuries. Won summary judgment in a construction negligence case for Baxter Construction in Cook County Circuit Court after we uncovered that the plaintiff had misreported the date of accident. Represented a truck driver in a personal injury case in Cook County Circuit Court that settled mid-trial for less than 10% of the plaintiff’s demand.